The German Sustainable Development Strategy (GSDS) was adopted by the German Government in 2002. Through a total of three extensive Progress Reports (2004, 2008, 2012, 2016), the GSDS has been continuously reviewed, updated and further developed. The GSDS is the essential framework for the national implementation of the UN 2030 Agenda for Sustainable Development. Accompanied by a very broad participatory consultation process, the GSDS has been carefully reviewed in 2016 in all its essential elements. The new GSDS has been adopted by the German Government in January 2017. The GSDS has been maintained over five changes of government, documenting the broad, constant political consensus in Germany regarding the importance of sustainable development. The German Sustainable Development Strategy (GSDS) was adopted by the German Government in 2002. Through a total of four extensive Progress Reports (2004, 2008, 2012, 2016), the GSDS has been continuously reviewed, updated and further developed. The latest update took place in November 2018. The GSDS is the essential framework for the national implementation of the UN 2030 Agenda for Sustainable Development. Accompanied by a very broad participatory consultation process, the GSDS has been carefully reviewed in 2016 in all its essential elements. The new GSDS has been adopted by the German Government in January 2017. The above mentioned update of the Strategy has been adopted in November 2018. The current government´s coalition agreement of January 2018 stresses once more that sustainable development is the fundamental objective and benchmark of the government and provides a number of measures to strengthen the efforts on national, European and international level. The next comprehensive update and report will take place in 2020. The new GSDS including the targets and indicators are structured along the 17 SDGs. The GSDS is an essential framework for the national implementation of the UN 2030 Agenda for Sustainable Development and was published in January 2017 and updated in November 2018. The first GSDS was adopted 2002 by the German Government after an intensive public consultation with stakeholders, including the federal states and local level and was presented to the 2002 UN-Summit in Johannesburg. As the GSDS is the strategy of the national government only, the GSDS is not binding for the federal states. Nevertheless, the cooperation between the national level and the federal states for GSDS implementation has been significantly increased. The federal states are involved in the definition process of concrete measures based on the GSDS. They participated in the consultation process to the Progress Reports 2008, 2012 and 2016. In 2008, 2012 and again in 2016, the federal countries have contributed own statements to the national government´s Progress Reports, which were adopted by the Prime Ministers of the federal states. The federal states welcome the lively exchange on public procurement between the federal government, the federal states themselves and the local authorities. The “Alliance for Sustainable Procurement” provides a platform for the federal government to bundle know-how for public procurement at the federal level. The federal states take this as an opportunity to make experiences accessible and useful, whilst maintaining their autonomy. They intend to continue this exchange of knowledge, methods and instruments. The federal states stress the significance of common sustainability indicators at the national and federal states levels. The orientation to universal, national indicators based on the indicators of the GSDS has proven valid and seems to offer the greatest possible compliance and comparability at the federal states level based on the existing data. This includes a mapping of federal states-specific targets with their own indicators. The participation of the federal states is also institutionalised in various working groups involving public administrators of the national government and the federal states as part of the Conference of Environmental Ministers (a forum in which the Environmental Ministers of the federal states and representatives of the Federal Ministry for the Environment meet), which mostly serve as a forum for exchange of experiences. SD is currently addressed in the working group “climate, energy, mobility sustainability (BLAG KliNa)”, that has been operating since January 2008. In terms of their responsibility on education policy, the federal states have consistently expanded their activities in the field of education for sustainable development with specific measures and programs. In 2010, the State Secretary Committee for Sustainable Development (political body) adopted an action program for a sustainable federal government which was reviewed and further developed in March 2015. The action program must be implemented by every federal ministry and their related offices and administration. The program e.g. addresses sustainable buildings, reinforces sustainable public procurement, sustainable mobility as well as sustainable conferences, and aims at improving the possibilities to combine work and family life. Yearly monitoring reports will be published as of 2016. In 2019 the action-program will be reviewed again. The Federal Government is campaigning for a systematic sustainability policy approach at EU level. In order to implement the 2030 Agenda at EU level, an implementation strategy is necessary as requested by the Council of the European Union, outlining timelines, objectives and concrete measures to reflect the 2030 Agenda in all relevant EU internal and external policies, taking into account the global impacts of the EU’s domestic actions. The Federal Countries (Bundesländer) call for a comprehensive implementation framework, too. The Federal Council (legislative body that represents the Bundesänder) has adopted a resolution on EU policy for sustainable development in early 2017. As EU action plays an important role in many of the relevant policy areas (for example agricultural and environmental policy), a European sustainability framework is crucial to ensure that Europe makes an effective contribution to implementation of the Sustainable Development Goals. That is the only way to ensure that activities at the EU level and activities in the Member States are complementary and mutually reinforcing. The Federal Council, therefore, considers that ambitious strategic goals to implement the Sustainable Development Goals by 2030 should be stipulated promptly at the EU level and that an indicator system should be adopted. As also advocated in several Opinions from the EU’s Committee of the Regions, this process could, for example, take the form of a new EU sustainability strategy or a Europe 2030 strategy, building on the Europe 2020 Strategy. A new strategic approach of this type must also be equipped with an effective implementation mechanism, which was lacking in the EU’s previous sustainability strategy from 2001. It is crucial to ensure that a unit in the Commission, endowed with sufficient capacities and influence, is in future entrusted with implementation of sustainable development as a guiding principle and of Agenda 2030 in its full thematic breadth; the Commission’s Secretariat-General is of particular importance in this context. Furthermore, the Federal Council considers that the Commission should initiate an inter-institutional consultation process promptly, with the participation of the Member States, as well as the EU’s regions and federal states, in order to devise the requisite overall strategic framework for implementation of the Sustainable Development Goals at EU level in a timely manner. The EU’s Economic and Social Committee has already undertaken important initial consultation measures to this end. Since 2000, the State Secretaries' Committee on Sustainable Development exists as a high-ranking steering, coordinating and monitoring body for sustainable development. It decides about the strategy and its further development (subject to later formal approval of the cabinet), and keeps a close eye on its implementation. The Committee is composed of state secretaries (representatives of the minister, top level of civil servants) from all ministries. It is chaired by the Head of the Federal Chancellery, who is the main leader in the national SD process. In Germany, the responsibility for national SD policies does not lie with one of the ministries but with the Chancellery itself. This is considered a key success factor for SD in Germany. The Chancellery does not only have a coordination role, but is also steering the process and providing important inputs to the relevant ministries. It shows the special importance that the federal government attaches to SD policies and is based on the fact that sustainable development is a cross-cutting subject. Political leadership for the GSDS falls under the ”guidance competence” of the Chancellery, and its administrative implementation takes place through a link between the Chancellery and the respective ministries responsible for the specific issue at hand. A permanent inter-ministerial working-group for sustainable development (chaired also by the Chancellery) prepares for the meetings of the State Secretaries´ Committee. The Committee meets about four times a year. Beginning in December 2008, the State Secretaries' Committee on Sustainable Development worked on the basis of a working program comprising important topics for sustainable development. Subjects of the meetings since spring 2012 included i.a. education for SD, CSR, the 2013 Peer Review on the national SDS, the Post-2015 Agenda, sustainable urban development, sustainable consumption and sustainable finance policy. To the Committees’ meetings, the Chair regularly invites respective experts, e.g. from science, NGOs and/or businesses. The Parliamentary Advisory Council on Sustainable Development of the German Parliament regularly provides the State Secretaries´ Committee with its opinions and recommendations on the selected topic. Since January 2009, departmental reports on the implementation of sustainable development are being presented to the States Secretaries´ Committee and published in the internet (available only in German). A major reform in order to strengthen the implementation of the strategy in daily policy was the introduction of SD as a criterion for the impact assessment for new laws or regulations. In May 2009, SD was included permanently in the standing orders of the federal government (”Gemeinsame Geschäftsordnung der Bundesministerien”, GGO). A guideline published by the Department for Internal Affairs in June 2009 advises to use the indicators and management rules of the strategy for this SD impact assessment. In March 2018, an online tool was introduced to support a more systematic assessment of possible effects on sustainable development. The Parliamentary Advisory Council on SD of the German Parliament evaluates and comments the procedural quality of the impact assessment as it is documented in the drafts of new laws or regulations delivered to the German Parliament. As part of the new GSDS, it was decided to further strengthen policy coherence: Coordinators for Sustainable Development have been appointed in each ministry, in most cases at Director-General level. They are central contact persons for all issues relating to Sustainable Development and will be involved in the preparation of the Sustainable Development Impact assessments. In 2004, the German Government reported for the first time on the progress of the GSDS and the statistical status and development of the 21 targets and 38 indicators, which were designed to make SD quantifiable. * principles for sustainable development. The principles for sustainable development summarise the guiding principles of SD. * Indicators and goals. 63 indicators with - in most cases - quantified targets in 38 areas. * Monitoring. Every four years a Progress Report presents in detail the status of SD in Germany. The Progress Reports are complemented by an indicator report, independently prepared by the Federal Statistical Office every two years. To improve SD management, the State Secretaries’ Committee has gradually been strengthened over the past years. In further developing the GSDS, the 2008 report covered four key-topics (climate/energy, resources, demographic change/social opportunities, international food-crises) whereas the 2012 report focused on sustainable economic activity, climate and energy and sustainable water policy. In addition to the key-topics, the reports assessed the progress of the GSDS in a broad range of subjects. The 2012 Progress Report was drafted in view of the UN-Conference on Sustainable Development in Rio de Janeiro and aimed presenting the status quo of SD in Germany. First milestones for the Progress Report 2012 as well as a first draft report were published in September 2010 respectively June 2011 and discussed in a broad, internet-based public consultation: The range of topics of the new GSDS is broader than before – as it is structured along the 17 SDGs. For each SDGs, particular challenges for Germany are highlighted. In 2009 and again in 2013, the German Federal Government mandated Björn Stigson, the (former) President of the World Business Council for SD, and a group of peers to conduct a Peer Review of Germany's SD policies. The first Peer Review Report, organised by the Council for Sustainable Development on behalf of the government, was handed over to Chancellor Angela Merkel on November 23, 2009, the second Peer Review Report on September 25, 2013. A third Peer review has been published and handed over to the Chancellor in June 2018. The group of experts was this time chaired by Helen Clark, former Administrator of UNDP. In 2009, 2013 and 2018 international experts brought their experiences to bear on the opportunities and challenges for Germany's SD policies in an international context. All three reports acknowledged Germany´s potential key position to spearhead the transition to a more sustainable development and came up with a set of clear recommendations addressing politics, the parliament, the business community and civil society. The German Council for Sustainable Development facilitated all three reviewing processes. Every two years, the Federal Statistical Office independently assesses the development and the status quo of the national SD targets and indicators (see Indicator Reports 2006, 2008, 2012, 2014; 2016, and 2018; every four years the Indicator Reports form part of the Progress Reports). Since 2008, they include - in addition to the detailed descriptions and trends of the indicators - a brief statistical evaluation regarding their distance to the envisaged target. This evaluation is graphically illustrated by weather symbols, e.g. ”sunny” or ”cloudy”, in line with (previous) Eurostat indicator-symbols. The Indicator Reports can be downloaded in German and English. In 2018, out of 63 indicators 28 were assessed as predominantly positive (e.g. education or renewable energy). The indicators for sustainable mobility and biodiversity were among the issues with remained a difficult challenge. The next indicator report will be published in 2020. Since 2002, several stakeholder groups, e.g. social partners, NGOs, local communities, the science community etc., were involved in the development of the GSDS. The methods used for this purpose ranged from traditional consultation processes to the possibility of delivering opinions on drafts or internet chat sessions with ministers and state secretaries. The German Government had initiated a broad public consultation process, which accompanied the work on the 2008, 2012 and 2016 GSDS Progress Report. Citizens were invited to contribute to the Progress Reports by making comments and suggestions based at first on a preparatory consultation paper, and then on a draft version of the GSDS Progress Reports; both were published on the internet. In addition, the Federal Chancellery invited selected stakeholders from alliances and associations to discuss the draft report in hearings or conferences. The review of the GSDS started in October 2015 shortly after the 2030 Agenda was adopted. A series of 5 stakeholder conferences (Berlin, Dresden, Stuttgart, Bonn and Hamburg) opened the discussion on a new GSDS 2016. Periodical newsletters informed about the activities and sustainability discussions taking place. A draft of the new/reviewed GSDS 2016 has been published by the end of May 2016 and opened for a second consultation phase via internet. In addition, dialogue meetings with the federal states as well associations and organisations took place during summer 2016. The new GSDS aims at strengthening stakeholder involvement. Plans for this include a regular dialogue format (“Sustainability Forum”) and the greater involvement of social stakeholders in the preparation of meetings of the State Secretaries’ Committee (“Dialogue Group”). The first Sustainability Forum took place in July 2017, followed by another meeting in June 2018. The government presented progress on implementing the 2030 Agenda. Social organisations reported on their activities and discussed implementation measures of the government. The Dialogue Group has been established in summer 2018. The first meeting took place in September 2018, with 20 stakeholder representatives participating in the preparations for the next meeting of the State Secretaries’ Committee. In science, various initiatives have been launched to support the implementation of the SDGs. The Federal Government has embraced these initiatives and offers a platform on which scientific support for the implementation of the SDGs will be pooled (“Science Platform Sustainabilty 2030”). The German Council for Sustainable Development was established by the German Government in April 2001. Its members are appointed by the Chancellor. Currently it is composed of 15 members from various social groups, the business sector as well as from the science and research community. Its mission is to advise the German government on all matters relating to SD and to contribute to the further development of the GSDS. In addition, the Council is an important stakeholder in the public dialogue on SD. A statement of the Council was published as a guest chapter in the Progress Reports 2008 and 2012 and was again part of the new GSDS 2016. The Council organizes Annual Conferences for Sustainable Development with more than 1000 participants and key notes by the Chancellor. The Conference offers national and international guests the opportunity to hear and discuss about the latest SD news and issues. A strengthened collaboration between the Council for SD, the Parliamentary Advisory Council on SD and the State Secretaries´ Committee for SD is ongoing. Each of the three institutions invites representatives of the other two to its regular meetings. For a detailed documentation of all advisory and participatory councils (for SD and/or the environment) in this country, please go to the EEAC website at http://www.eeac.eu/councils/germany and click on one of the listed institutions. 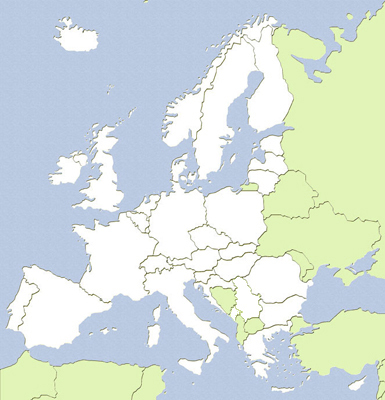 For a detailed documentation of all advisory and participatory councils (for SD and/or the environment) in this country, please go to the EEAC website at http://www.eeac.eu/councils/germany	and click on one of the listed institutions. Currently, 13 of 16 of the German federal states have their own SD strategies in place. The federal government aims at strengthening the cooperation between the national level and the federal states level. Short descriptions of the federal states´ SD activities are available in German. The federal government has strengthened cooperation with the local level in the context of the Progress Reports 2008, 2012 and 2016. Accepting an invitation by the federal government, the German municipal umbrella organisation (consisting of the German association of cities, the German county association and the German association of towns and municipalities) presented their priorities and views on the GSDS in a guest chapter in the Progress Reports. There it stressed that SD is increasingly becoming a central guiding principle of municipal politics. In February 2009 and again in April 2013, delegates from the German municipal umbrella organisation discussed questions of land use for housing and infrastructure with the federal government in a meeting of the State Secretaries´ Committee for Sustainable Development. In January 2012 and again in March 2015, the State Secretaries’ Committee discussed with mayors (members of the “Sustainable City” dialogue - Mayors for Sustainable Development in Municipalities Initiative of the Council for Sustainable Development) challenges of sustainable cities and fields of further cooperation. The “Federal-Länder Experience Exchange on SD” is a format that offers room for regular communication on current issues of sustainable development at Federal and Länder level. In addition, the Federal Government and the Länder meet at political level (Conference of the Heads of the State and Senate Chancelleries of the Länder (CdS) and the Federal Chancellery). In addition, there are specific fields of cooperation, which integrate the federal and subnational level (federal ministries, Länder, municipalities) as well as science research institutes and NGOs. Another instrument to support sustainable development activities at local level is the Service Agency Communities in One World (Servicestelle Kommunen in der Einen Welt – SKEW), set up by the Ministry for Economic Cooperation and Development. It provides information and advice to the municipalities on all aspects of community-level development cooperation and acts as focal point for civil society commitment in implementing the 2030 Agenda. Furthermore, the Sustainable Development Council supports vertical integration by activities such as the Sustainability Network of Lord Mayors and the creation of regional hubs.